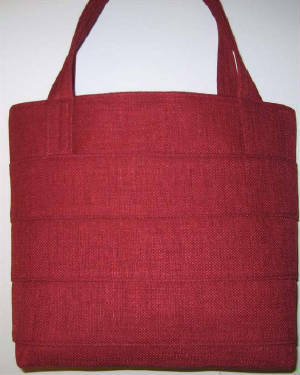 Click on tote to go to Classics Page. 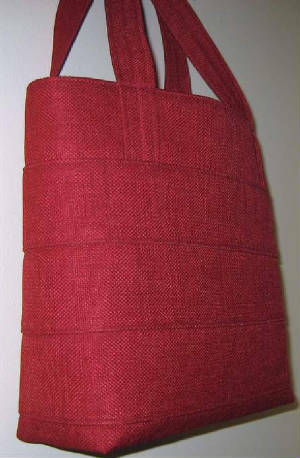 Dimensions: 15"W X 10 1/2" H X 4" D. Straps, 21". 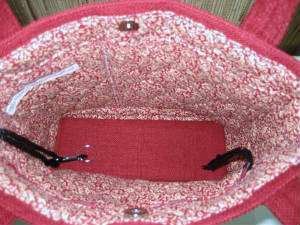 Inside: Zipper pocket, 2 slip pockets, magnetic snap closure, key clip, & covered bottom insert.